Greetings of the most high in this most auspicious moment of now, whereby spirit has decreed we come Forth to offer you some clarity and perspective with regards to the collective evolution of the group that is known as the Blu-ray illumined twin flames. Indeed this is a most wondrous moment as we have some vital information to share with many of you, information that is predestined to set you very much on the path of your highest and greatest becoming and well-being at this point within the Earth's Ascension trajectory and Gaia’s ever deepening alignment with the heart of the Photon belt belt. 2016 thus far has been extremely intense for many of you light workers, and in many ways makes 2015 seem like a walk in the park so to speak…. however all this is in alignment with the plan of the Great Elohim and the highest ascended Masters Of Light whom mother Father God has decreed to oversee and indeed caretake this particular part of the Ascension timeline for Gaia. Many of you will be aware that the North Node changed from the sign of Libra to the sign of Virgo in november 2015, and with this transition it was decreed by the great council of light that twin flames and light workers would be encouraged and indeed supported to implement great and neccesary changes in the area of their physical health and well-being. Many of you twin flames have had a number of ongoing challenges in the area of your physical health systems for quite some time now, and this is, very often a reflection in most cases, of the core ancestral patterns that you have come forth to clear and transmute. The next stage in the alkalisation process is the necessity to implement a regime of fasting for at least one day a week in order to give your digestive systems a rest that they may come up to speed so to speak in the process of eliminating harmful toxins from the physical body…... we also highly advise you to implement a high-level alkaline diet into your daily life, we encourage the consumption of foods such as green leafy vegetables such as kale and spinach, alfalfa sprouts, sesame seeds and oil and flaxseed oil, radishes, and peppers to name but a few….. your great Internet search engines will guide you to the most alkalizing foods for your bodies and beloveds please understand that now truly is the time to start implementing these lifestyle choices. we also highly recommend beginning your day with a lukewarm glass of organic lemon juice mixed with filtered spring water. This is a highly auspicious date for A solar eclipse to occur on and is an indication from our creator mother Father God that this is an extremely important time for illumined twin flames. Many many of you are experiencing the energy of the snake right now and like the snake we see many of you being supported in unprecedented ways by your spirit guides, to shed skins that no longer serve you and where you are going on an energetic and cellular level in the coming months and years. We understand that this can be scary for you, even you seasoned light workers, as there is always the energy of death and rebirth afoot at the time of skin shedding, however we encourage you to deeply trust in your body's infinite Wisdom, it knows what it is doing, and all that is being shed now is truly the false 3D matrix programming that you have all bought into and inherited on some level. So please trust this process, and again we strongly advise you to place the majority of your attention on the aspects of your health and life that are functioning optimally and use the awesome power of Your Mind consciousness to only exert positive thoughts towards your emotional and physical vessels at this time. Within the twin flame community there are many many of you who are married to someone who is not your twin flame or are in situations where buy your twin flame is in another marriage. although this can seem extremely messy to you from your 3d perspective, there is of course divine order in all the situations you find your selves in. Part of the twin flame template brings forth the necessity to become a living master of communication and transparency in all your relationships, and for many of you, your husband and wife are actually the Divine Gatekeepers who are offering you an opportunity to master this particular initiation. Spiritually these spouces are on your team and are infact extremely supportive of true bonafide twin flame unions, and they have advocated to step forth to assist you in learning to be impeccable around your heart based honesty communication and transparency. This is a fundamental lesson that all twin flames must master in order to be in successful unions with the true consort of their soul, and we invite you to reach into the deepest depths of your being to access the bravery, courage, empathy, intelligence, sensitivity and compassion to have these conversations with the ones who you are in a relationship with who are not your twin flame. We hope we have explained this important lesson succinctly…. whatever situation you find yourself in at this point in your evolutionary trajectory please know that your higher self and spirit guides are working with you in unprecedented ways, holding your hand and supporting you to have the necessary breakthroughs that are required for successful and triumphant twin flame Union. And it is very very important that you understand that. Twin flames, starseeds and light workers, the time has come to truly let go of all toxic poisonous patterns and habits to become the Living examples and role models of spiritual mastery that Gaia needs you to be. Now is the time to truly let go of all teenage habits and become adept at demonstrating spiritual maturity in all areas of your life. We Know how deeply resonant these words are for many of you and this report is in many ways the kick up the backside that many of you have been calling for. We cannot lay it out any clearer than this. The time of the solar eclipse in 18 degrees of Pisces will see an orchestration of unbelievable transformations for many of you, and like the Pieces on a chessboard you will all be placed in brand new positions, evermore succinctly, aligning you with your beloved twin flame…... but in order for this to happen in an unencumbered fashion you must do all the necessary preparation, particularly with regards to the restoring of your physical vessels to their optimal state of well being. Expect deep shifts to occur for many many of you during these monumental times in your own personal evolution. We understand That this has been an extremely high vibrational message and as ever please only take from this that and only that which resonates with the deepest knowing in your own heart. Our Beloved channel is available to serve you if you feel called or drawn to have a personal one to one session with her, please know that in these sessions she opens up to Channel The Infinite wisdom from us her guides and she is able to, with deep efficacy tap into your own higher self wisdom to deliver you a tailor-made message or energy clearing to activate your wings, that you may sore ever higher into alignment with your own I am presence. we are filled with such an overwhelming amount of Joy to be able to come through in this moment at this highly auspicious time of Maha ShivaRatri and on the dawn of this paradigm shifting solar eclipse. We have such wonderful news to share with you all, and sacred information that will assist you in profound ways as you keep moving forward with Grace upon your individual and collective ascension trajectories. As we mentioned before, like all eclipses this eclipse is opening a fundamental door for many of you that hitherto has laid tightly shut, a door that heralds a brand new and invigorated emotional Dawn for you, our most precious and beloved lightworkers. This eclipse is highly signifying the end of a chapter for many of you, particularly in the realms of the emotional stories that unbeknownst to your conscious mind, you have held onto very tightly. Stories about lack, stories about self sacrifice, stories that perpetuate this idea that you our most beloved lightworkers are not aligned with the frequency of generosity that ensures that you receive as openly and as freely as you all give. This eclipse is a game changer, and we are very aware that many of you are deeply intuitively sensing this within your own innermost beings. 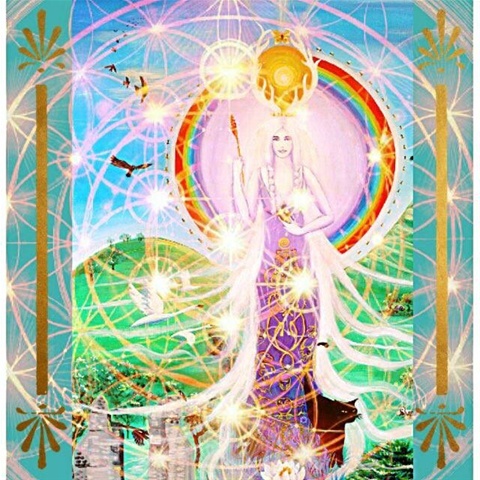 You beloved light workers have been in many ways overly generous with your time and energy for a very long time now, and since January we can see that many of you have been feeling somewhat spiritually emotionally and energetically depleted, but glad tidings we bring forth today, and that is the message, that many of you are now waking up to exactly what has been depleting your energy Fields, and you are all remembering that your greatest duty to humanity is activated when you tend to and restore your own energy centres and energy fields. Please know this pattern of over exerting yourselves has now climaxed and we tell you with perspicacious knowing a brand new Dawn awaits you. As you are addressing this fundamental issue please know you are doing everything in your power to cultivate the fertile soil for the flower of successful Union with your beloved twin flame to blossom, as he or she needs to be able to see the depths you are willing to go to to be your own greatest champion, your own greatest love, and your own greatest friend. The energetics of the eclipse are complex and multifaceted but the main theme is New Beginnings. We see so many of you waking up to the fact that you have been perpetuating the energy of “holding on” in certain areas of your lives, and we sense your guides pushing you towards the realisation that “release” and “let go” is the only way for you to align with everything your heart and soul desires. To get to this place of completion and release is by no means easy for the ego self, there can be a lot of Fear and the need for control yet your own Awakening process is facilitating the complete necessity for you to once and for all acquiesce to the state of surrender and “let go” in order to allow the great great good your higher self is lining up for you. Beloveds, we see so many of you fretting over the timelines of the full and complete merger with your beloved twin flame and of course from your human perspective we deeply empathize with you, however we wish to remind you that when you signed up to be in this successful Union with your beloved twin flame and put your hands up in front of mother Father God and volunteered to bring back this holy sacred divine template back to humanity, you agreed that nothing less than the attainment of your own spiritual mastery would suffice. What does that mean? It means realising that the fears and doubts that you carry about this Union come from your ego identity or you could say you're frightened inner child, who really has no overview whatsoever on the vast perspective the higher self has. It means taking his or her hand when she is being fearful and doubtful and tenderly comforting her and reminding her that she has not been forsaken, that her higher self knows exactly what it is doing and we'll deliver this Union in perfect timing. It means having a spaciousness around these fearful thoughts and the spiritual maturity to empathize with the very core root of them,to know that if you intend something to happen in your heart, if you can see something in your imagination, and if you can give thanks for it before it arrives, then it is so…... it is already so…………. This is what we mean by attaining spiritual mastery. You will all be tested, so pass these tests, believe and know that what your intuition tells you has already been decreed by the highest forces of light... this is your role here to demonstrate this knowing...then and only then do you activate the magnetic faculties in your electro magnetic circuitry to actually draw the very thing you intend unto your eternal keeping. 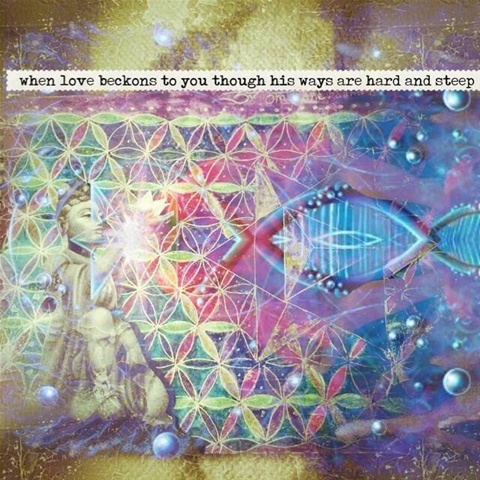 We hope and Pray this message is succinct and concise for you... we are here too deeply assist you and support you on your evolutionary journeys and we see such incredible magic and love in your timelines. We know in the depths of your heart you also carries this all seeing, all knowing, sense of your destiny and our job is to enliven and and empower this knowing. Beloveds you are all manifestations of the great God I am consciousness upon this sacred Earthly plane, there is no thing that is not possible for you, if you can conceive it in your imaginal faculties then you can create it in your third dimensional Realities. Mighty co-creators you all are and this highly auspicious eclipse portal had been predestined to buffer up your angelic wings and take them to the next activated vibrational level. If only you could see what we see…. how amazingly well you are all doing, how so many of you have heeded the message in our last channeling to clean up and purify your physically earthly vessels to support the eclipse energetics….please know this purification of the physical vessel is in profound alignment with regards to the preparation of your physical and emotional bodies to be in successful Union with your beloved twin flames, and many of you are on track, and so close now. Keep smiling and keep saying thank you for all the incredible new beginnings this eclipse portal heralds. We love you and you are so loved. greetings of the most high on this most wondrous day that is known as the spring equinox… we would like to quote our beloved channels favorite astrologer Chani Nicholas, and her exquisite and pertinent description of this auspicious date……”Equal day to equal night. The balance of light and dark. Both sides in fair measure. The spring equinox in the northern hemisphere, takes place on sunday march 20th and, marks a time when what was concealed now begins to be revealed. What was mere potential now becomes a promise. What always existed but was hidden, the vibratory hum and creative force of life that can never be extinguished, once again makes itself manifest before our very eyes”.......................In this sacred moment of divine equilibrium great spirit has decreed we come forth to offer you, and share with you, some pertinent insights that have been designed to assist you greatly as you move forwards with buoyancy on this part of your own personal ascension trajectories. It has been brought to our attention that now is the time for us to speak about 5D consciousness. With regards to what this is, and to offer you our insights that you may find yourselves stabilizing in it. From the beginning of us sharing these sacred writings with you, we have oftentimes mentioned 5D consciousness, but now it would seem that with the powerful Equinox energies, it is an appropriate time for us to elucidate a deeper explanation of what this actually is. In this sacred moment of now, as many of you are extremely aware, there are a vast number of differing alternating frequency band widths that are running concurrently in this present moment, however since the fall of Atlantis and with the ongoing agenda of the Archons or the Dark cabal, humanities consciousness has been entrained to primarily be attuned to the Frequency band that is known as 3rd dimensional consciousness. Within 3D consciousness there exists ideas such as “you and me” “life and death” “aging, disease, illness, separation and ego identification” (to name but a few).... attunement to 3D consciousness has ensured humanities ongoing identification with the notion of duality or separation…..
3D consciousness is quite simply a frequency band width which perpetuates the idea that matter is solid and immovable and that you and I are separate from each other….. however of course this is only one interpretation of reality, and is not the only band width that is running concurrently in this glorious moment of now…... there are of course a great number of dimensional frequency bands that exist on what you would term the higher and more subtle planes of reality. When spirits Passover and return home to the glorious Godhead, the journey of their Souls continues in earnest, and although it is nearly impossible for most humans to physically see the deceased one's spirits when they have left their body, they are of course still very much alive and well. On the journey towards successful and sustaining reunion with your beloved twin flame it is very important that at least one of the twin flames be stabilised in the awareness of fifth dimensional consciousness, The hallmarks of this dimensional reality are…. The initiate abides in a state of oneness, present moment awareness whereby the concept of linear time ceases to exist, there will be an awareness of the inner alchemical marriage of the anima and animus also known as the hierosgamos, there will be an all pervading acceptance and gratitude for life exactly as it is, as it will be recognised as the perfect teacher to align the initiate with their own actualised state of self mastery, there will also be awareness and alignment with the Zero point field which is the time space continuum whereby the twinflames have dissolved and merged back into their original unified state, there will be an alignment with the perspective of soul knowing, kundalini awakening, pineal gland and thymus gland opening,,and attunement to profound psychic and telepathic healing gifts (to name but a few)....….. the Foundation of 5d consciousness is pure and unadulterated Unconditional Love for self and all others as in this vibratory resonant field there is an all powerful knowing that in fact there really is no other. 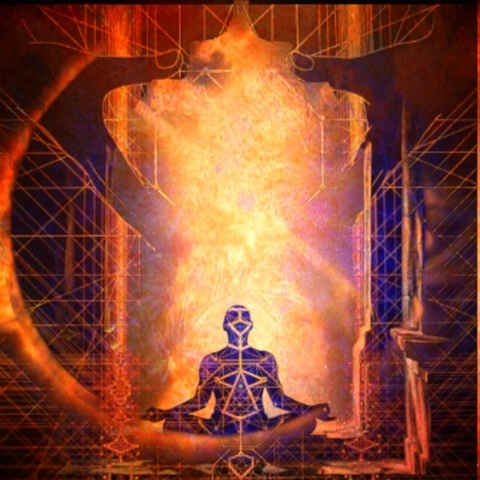 This is referred to as unity consciousness or being in a state of oneness, and is an extremely high vibratory state of knowing and is very often triggered through physical or psychic reunion with the bonafide twin flame, The twin flame acts as the sacred gatekeeper who opens the door to the higher heart center, and pineal gland releasing the secretion of vast amounts of Higher dimensional intelligence and knowing. When one of the twin flames has stabilized in 5d consciousness this ensures that the other twin will very swiftly attune to this vibratory state and this can be likened to a tuning fork automatically tuning another tuning fork to come into exactly the same resonance as its counterpart. Until at least one of the twins has stabilized in 5d consciousness it is very tricky for the twin flames to be in a harmonious and stable state of Union, as everything is exponentially magnified in the presence of the twin flame, therefore if neither of them have attained a stabilised degree of Awakening into 5d, there will still be a great deal of woundedness and notions of Separation that will still be being played out in the coupling primarily through projection. 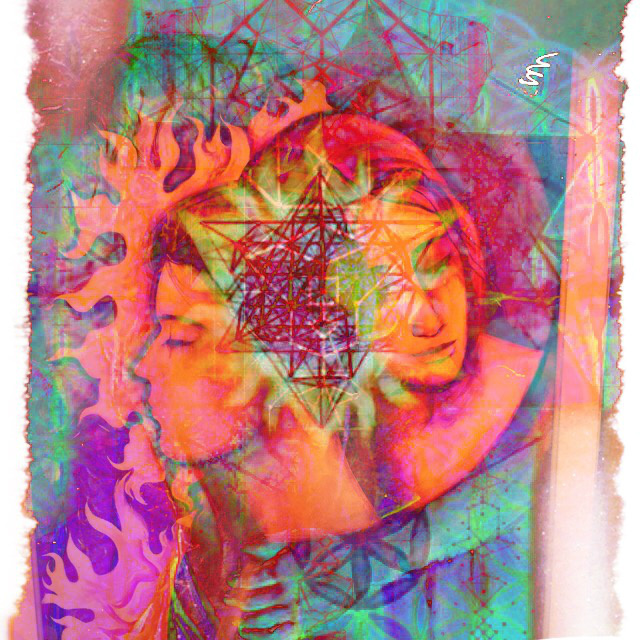 The higher intelligence knows that twin flames exponentially magnetise all that is healed and all that is unhealed in each other, and in fact it is far more energetically disruptive for twin flames to be together if these issues are still being acted out on any level. This is why the higher self orchestrates these periods of Separation as it is far less energetically disruptive to the twin flames personally and for the collective consciousness for the twins to be in physical separation, that they may do the necessary work on themselves and their own vibrations to attain their own spiritual mastery without the other twin being around. However if at least one of the twin flames has stabilized in 5d consciousness, then from the perspective of the higher self it is wholly appropriate for the twin flames to cease experiencing any further physical separation. We share this with you to offer you some valuable insights into why you still might be in physical separation with your twin flame...The universal intelligence, the mighty hand of God knows exactly what it is doing with regards to the exact timing of the twin flames inevitable earthly reunion and we invite you to deeply deeply trust in this, despite it seeming to take such a long time from your human earthly perspective. This is a huge subject area which we have only really skimmed the surface of so to speak but we hope it offers you some comfort and insight into why things are as they are for many of you. From our higher perspective you our most precious beloved lightworkers are all doing so well. we see many of u now committed to a regular yoga and meditation practice, we see many of you adopting extremely healthful choices in the areas of nutrition, and we see many of you have once and for all put a stop to the destructive daily habits that you have perpetuated for a long time now. We in the higher realms are applauding you…. And we pray you can you hear these cheers coming from us…. your Spiritual Guides and Angelic Guardians. The current twin flame energetics are advocating a monumental surrender from you our most beloved spiritual twin flames. now is the time for you to truly let go of how you imagine it will be and how you wish your union to manifest with your twin flame. You are now being deeply encouraged to be entirely empty with regards to any expectations around how this Union will come into being. This is such a fundamental part of the manifestation process….. to let go, and allow the universe to deliver your heart's desire to you in the most awe inspiring and unimaginable ways which your limited human consciousness truly has no grasp of. The great infinite intelligence has a sacred plan in place with regards to delivering your twin flame back into your life, and whenever you question this or analyse the where's, the why’s and the hows of this, you are actually offering the energy of resistance to God's great master plan. It is wholly appropriate for you all to let go now, and surrender, to stop wondering and worrying and obsessing about how things are going to become a reality in your life, Mother Father God's plan deeply requires you to do this. Focus on yourself, your own self love and self mastery, focus on your own relationship with nature and the optimum ways you can care for yourselves and the loved ones who are in your life. You can still send healing and telepathy to your twin flame, but we invite you to now release any obsessive notions regarding the questioning of the hows of this manifestation. This is so important for you lightworkers, you can still have your vision boards activated, but we very much encourage you to invite the energy of surrender into your daily lives which is wholeheartedly different from the energy of giving up. In surrender there is an all pervading trust in God's plan for you and your twin flame, and the energy of trust and surrender is the magnetism that draws the very thing you have been praying for to you. We know that many many of you have been receiving this message very clearly from your own guides. and this channelled writing is only serving to reflect and validate this important message back to you. 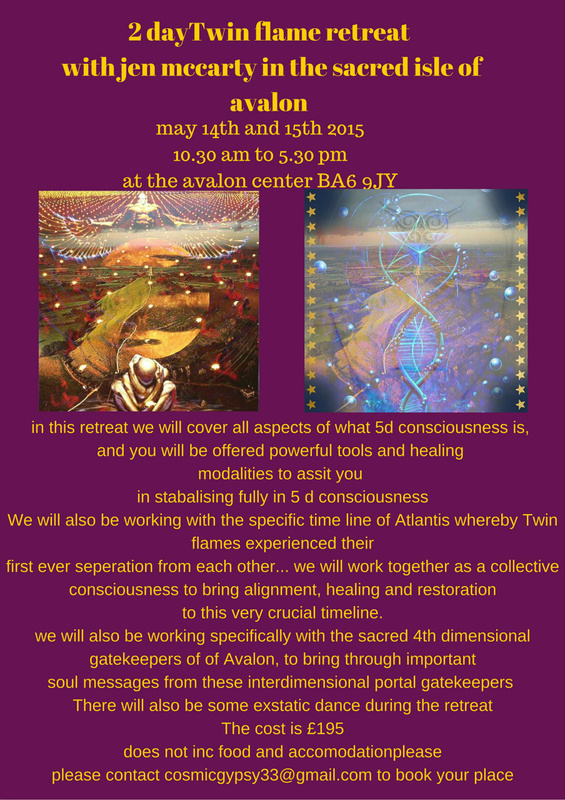 All is well beloved lightworkers/twin flames….. mother Father God holds you all tightly now. We are sorry it's seeming to take so long from your earthly human perspective but the Divine plan is being delivered in impeccable timing we can assure you of that. We leave you with this gentle reminder….one of the most efficient ways to raise your vibration is to go on regular rampages of gratitude for everything in your life that is serving you and your loved ones…..this is an act of actually speaking to your cells, and affirms to existence that you are aligned with the true nature of reality, a reality which deeply wishes to serve you and fulfill all of your hearts desires...if only you get yourselves out of the way and let it…..
Greetings of the most high….. We come Forth at this auspicious time whereby the lunar eclipse has just taken place in the sign of Libra, this portal is a most Potent time on your evolutionary calendars, and it feels appropriate that we bring forth this message to you as we move through this recalibrating energy Gateway. 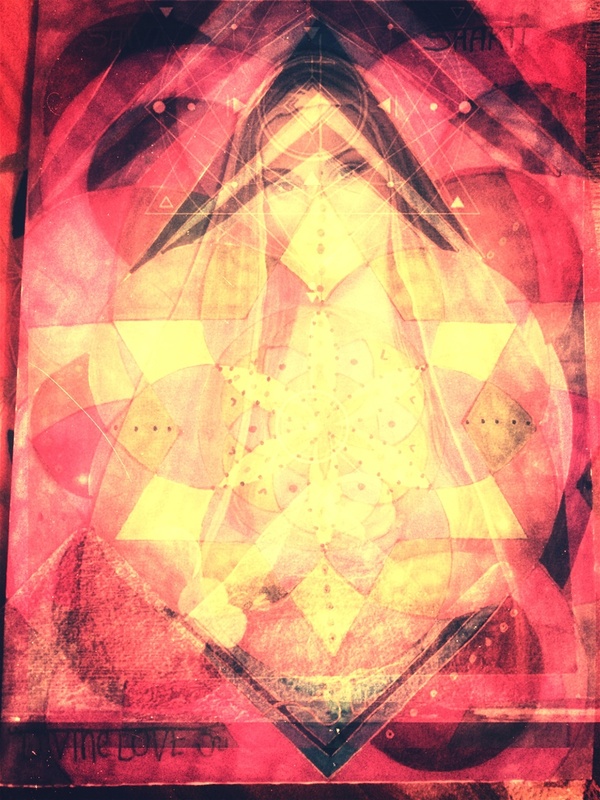 There is much to share with you as usual….firstly we are overjoyed at what we see before you, our most precious beloved lightworkers/twin flames. The sun has now moved into the action orientated and dynamic sign of Aries which portends of fresh brand new beginnings for many of you. Indeed to those in the Northern Hemisphere this time signifies the true start of spring whereby all that was hidden in the deepest depths of Winter stirs, sprouts, and now springs Forth in joyful celebration of life…...This is highly symbolic for your own lives, 2016 thus far has been an incredibly deep and Incredibly intense experience, for many of you, you have been confronted with some of the most stickiest layers of old patterning that your higher self has forced you to face, move through and transcend. This has left many of you experiencing a whole myriad of physical symptoms which have purely been your body wisdoms way of clearing out these old false templates. This is incredible and awe inspiring work you have achieved beloved ones, if only you could see how much lighter and in alignment you are now with your higher self, with your I am presence. This period up until now could also be likened to a powerful polishing up of your energetic bodies that you may shine more brighter than you ever believed was possible. We can assure you that with the changing of this season, things are also going to start changing dramatically in many of your lives, and already you can see glimpses of that. projects which were simply ideas at the winter solstice are now presenting as shoots and seedlings sturdy with the promise of baring great fruits. This is due to many of you discarding the old ways you have clung onto to make money and survive in the 3D way, We see many of you now deeply coming into alignment with your true soul work that you have come to share in this lifetime. Indeed to those whom we speak to tonight we would like to remind you that many of you have held positions of great influence and have carried great wisdom in many of your life times, and this lifetime will be known as your crowning glory whereby everything you have achieved in your previous lives will reach a pinnacle of profound service to humanity. With regard to the current twin flame Union trajectory, we spoke in our last article about why periods of Separation are deemed necessary by the higher self of the twin Flames in order for them to raise their frequency sufficiently to not repel the twin away through the projection of unhealed and unchecked woundedness. Beloveds we would like to remind you that there is another portal that has been predestined to be activated in your month of April which will see a whole fresh wave of twin flames reuniting. This portal will be different from the others as many of the twins whom we speak to tonight have been working diligently on ensuring their frequency resonate at the vibration of 5th dimensional consciousness…...As we have often times shared, this is a fundamental prerequisite to sustaining and successful twin flame Union. The schuman resonance of Gaia has exponentially increased since the time of the 27th of September 2015 and this has contributed greatly to the twin flame collective mission... as the rise of the Schumann frequency is in alignment with the exponential acceleration of gamma rays which the central son has been ordained to release. Everything is very much on track beloved ones and you will notice that through the shifts in your own personal vibrations…….relaxation, calmness and trust are now far more frequent visitors to the holy mansion of thy holy self. We wish for One moment you could see what we see, how are on track you up to a assisting so many people to come into their own living mastery, indeed you whom we speak to tonight are on the front line of the Ascension destiny of Gaia, and are on the front line, acting as Ambassadors of the new Earth template. To trust is the hardest lesson for the ego, and you will always be tested until you pass this test. We invite you dearest ones to recognise these tests that your higher self has put before you on your path, and we invite you to pass these tests, knowing that the lesson is always to simply place your trust in that which your physical eyes cannot see and your physical ears cannot hear but which your inner eye knows and your higher heart feels. The path is so simple the mind is the only aspect of creation that obscures the fact of this, we know you are all so close, as we know that you have in fact already arrived. take the hand of your inner child now, she who is freaking out about the timing of the actualisation of God's master plan for her and her beloved twin flame. Take her to the park and make her a daisy chain, sing her her favourite song, and let her dance to her favourite tune. remind her that time is it eternal, and this moment is the Alpha and the Omega, the beginning and the end, the home she has always sought. Seek to make her smile, seek to let her play, allow her to get muddy and encourage her to place her hand in the soil…... but most of all tell her that she has never ever been alone, God has sent his beloved son to be with her internally and externally,and remind her that in the realm of Eternity they are always United and stand as one forever hand in hand. As she receives this darshan, this sacred truth, this will enable her to relax and surrender but most of all trust, and as you all are aware this is the most Potent magnetic energetic that brings forth the very thing wished for into the third dimensional reality. We hope this message has been succinct and comforting and reassuring for you and your inner child, there is so much time for you to be with your twin flame please be assured of that, for you are always completely United with your twin flame please also know that……. carry on clearing and releasing all and any false Programs and templates from your ancestral lineage.